« *** WINNERS *** Cassie and Laura are Living the Life of Riley! CONGRATULATIONS! *** AWESOME DEAL ALERT! 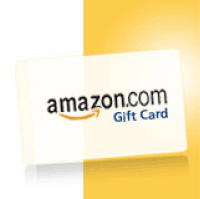 *** Get a $20 Amazon Gift Card for Only $10! TODAY ONLY! GET A $20 AMAZON.COM GIFT CARD FOR ONLY $10! Hurry, and get your steal of a deal! Supercuts Offers a Time-Tested Opportunity for Moms and Ranked #1 in the Hair Care Industry!